The city of Hillsboro needs your help in selecting its next city manager. 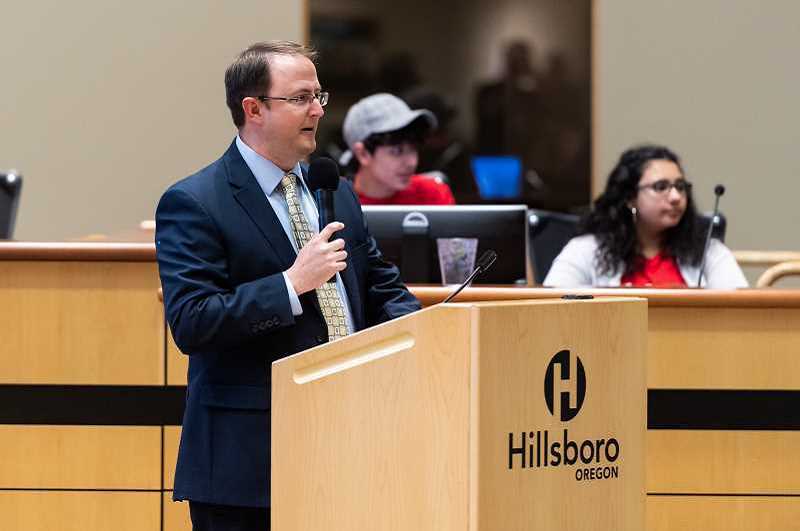 Members of the Hillsboro City Council will hold four community listening sessions over the next two weeks, taking feedback from locals about what characteristics recruiters should look for in the city's next city manager, following the resignation of Michael Brown earlier this year. On Saturdy, April 13, councilors wil be at the Hillsboro Brookwood Library from 1 to 3 p.m. speaking with residents about the "characteristics and strengths" Hillsboro's next city manager should have, according to the city. Councilors will hold similar listening sessions at the Hillsboro Shute Park Library and Hillsboro Community Senior Center on April 16. Councilors held the first of its sessions on April 7 at M&M Marketplace on Walnut Street. The city manager plays a pivotal role in keeping the city running. As the city's executive officer, Brown oversaw all of the city government's duties, from public works projects to libraries, police and fire services. The city is conducting a nationwide search for Brown's replacement. Councilors have expressed a desire to hire a new city manager as soon as possible, likely by this summer. Brown stepped down from that post in January after more than seven years in Hillsboro. The position is currently being filled by interim city manager Robby Hammond. 1 to 3 p.m. M&M Marketplace, 346 S.W. Walnut St. Noon to 1 p.m., Hillsboro Community Senior Center, 750 S.E. Eighth Ave.
1:30 to 3 p.m., Hillsboro Shute Park Library, 775 S.E. 10th Ave.